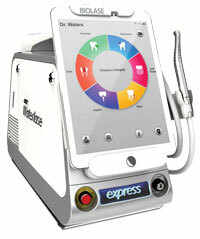 BIOLASE has been at the forefront of dental laser innovation for decades, enabling dental professionals to offer modern methods of oral care for their patients. Our core purpose is to enable our customers to elevate their standard of care, and improve patient outcomes through our best-in-class laser technology. 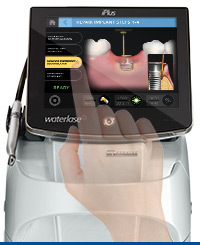 The world’s most trusted all-tissue laser, Waterlase iPlus, has more clinical indications than any other laser and the ability to treat hard-tissue, soft-tissue, and bone! 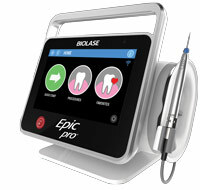 The NEW Epic Pro is the first premium diode laser providing new innovations that will allow you to manage soft tissue in a way that no other diode laser has achieved. 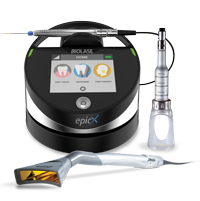 The award-winning Epic X, an industry best-seller, is a highly versatile, productive instrument that enables you to delight your patients faster. Act Now and Save Big! Contact your BIOLASE Special Markets Account Manager today. Call 877.286.2603 or quickly fill out the form above to be contacted directly.